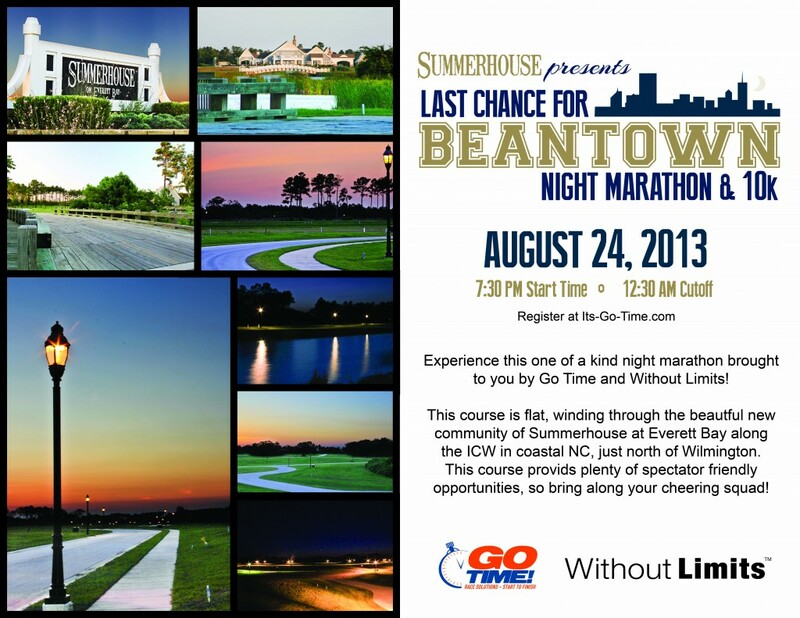 Last Chance for Beantown Marathon & 10K – August 24, 2013 | NC Race Timing and Running Events | Go Time! 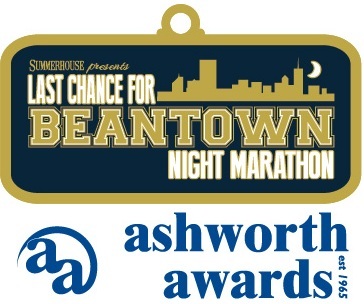 for making the inaugural Last Chance to Beantown a success! We hope your dream of getting that BQ has come true. 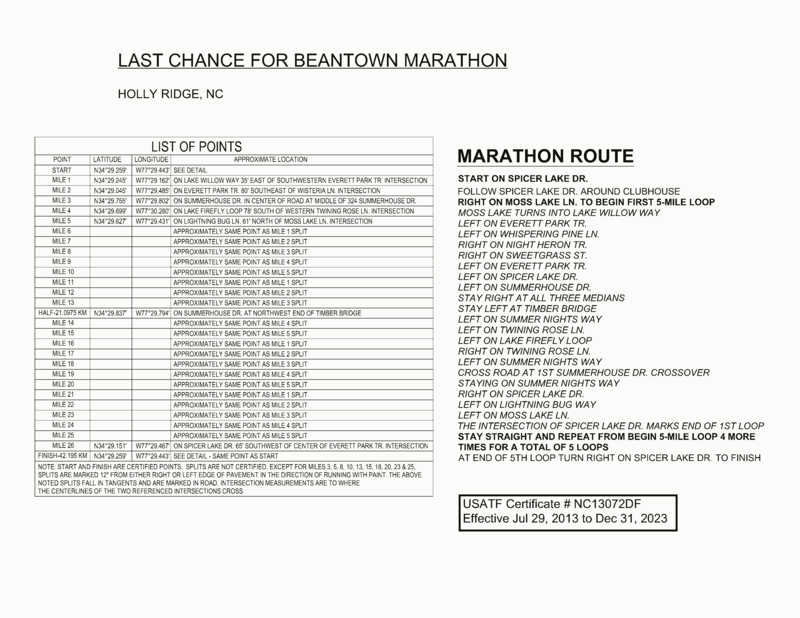 Registration for the Boston Marathon is in September 2013. This is one of the last opportunities to get your qualifying time before registration opens! Summerhouse on Everett Bay is a spectacular new waterfront community located on the Intracoastal Waterway, just north of historic Wilmington, N.C. The neighborhood streets are pancake flat, and running at night within earshot of the Atlantic Ocean will make for as fast as conditions as one could expect in late August. 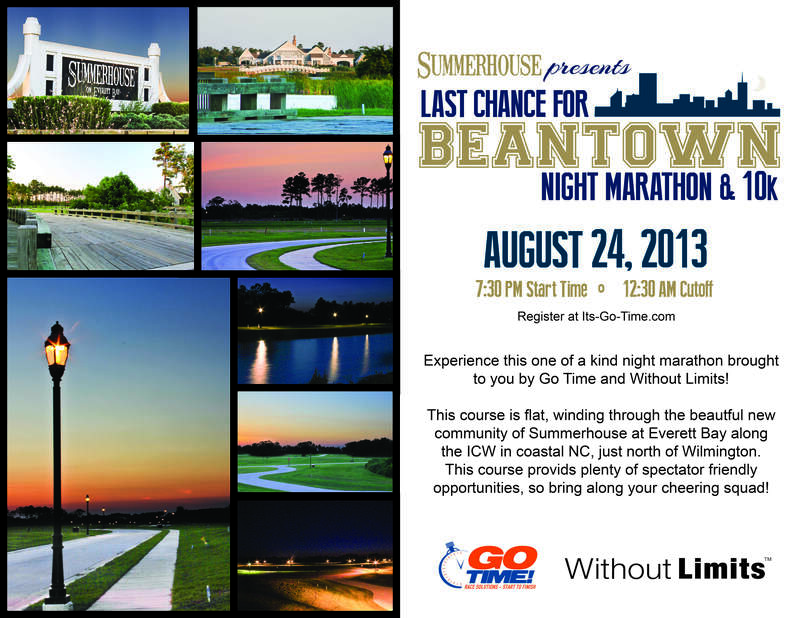 The Last Chance for Beantown Marathon at Summerhouse is one of the last opportunities to qualify for the 2014 Boston Marathon. Runners from across the country, us included, set a goal to cross the Finish Line at the Boston Marathon. With the unique start time of Sunset, runners will have the chance to run during the night – on a perfectly measured, fully aided course – without the hot sun being a factor. Yes, we know it can be hot in August in North Carolina – that didn’t escape us, however, average low temperatures surprisingly drop to 69.8 degrees the last week of August in the evenings. We are timing the start so humidity and temperature levels are as low as possible – every dropping through the race. Already qualified? 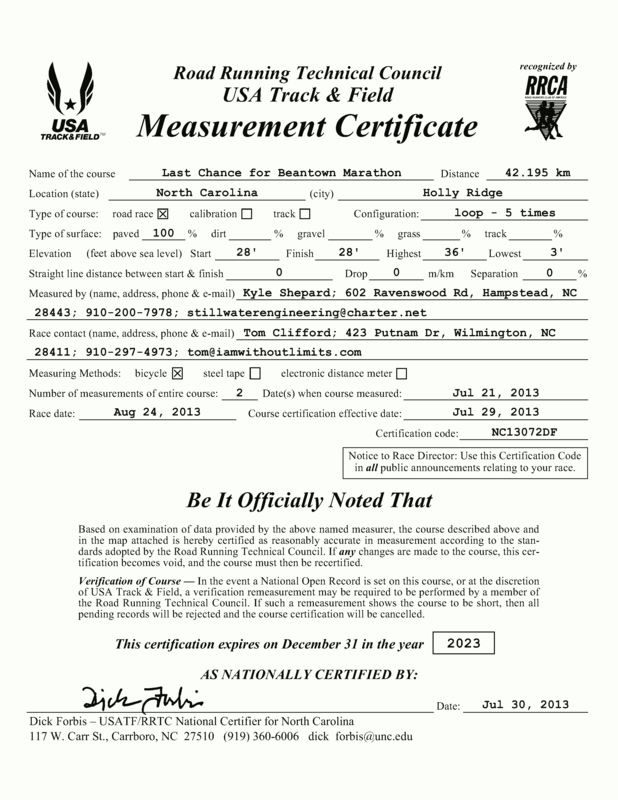 : After dropping the qualifying standard by five (5:00) minutes in 2013 the B.A.A. has protected the Boston Marathon’s rigorous tradition of making it a feat of merely getting to the starting line. Now with the tiered system, the only runners who can sign-up in the first tier are runners with qualifying times over 20 minutes faster than the standard for their age and gender. Runners who have bettered the standard by 10 minutes or more can usually register next, and those who have qualified by 5 minutes or more can sign-up a day later. Finally, everyone who has run a qualifying time gets their chance to register, if space remains available, several days after registration has opened. Just hitting the qualifying standard will not ensure a runner makes it into the race – particularly with as many runners wanting to be a part of the 2014 race. There are typically around 25,000 runners in the Boston Marathon and if race officials don’t increase the number allowed to run next year it might be one of the fastest fields ever gathered. 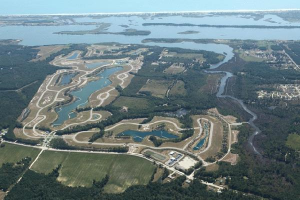 Description: The course is flat, winding through the beautiful community of Summerhouse at Everett Bay along the Intracoastal Waterway in coastal North Carolina, just north of Wilmington, NC. 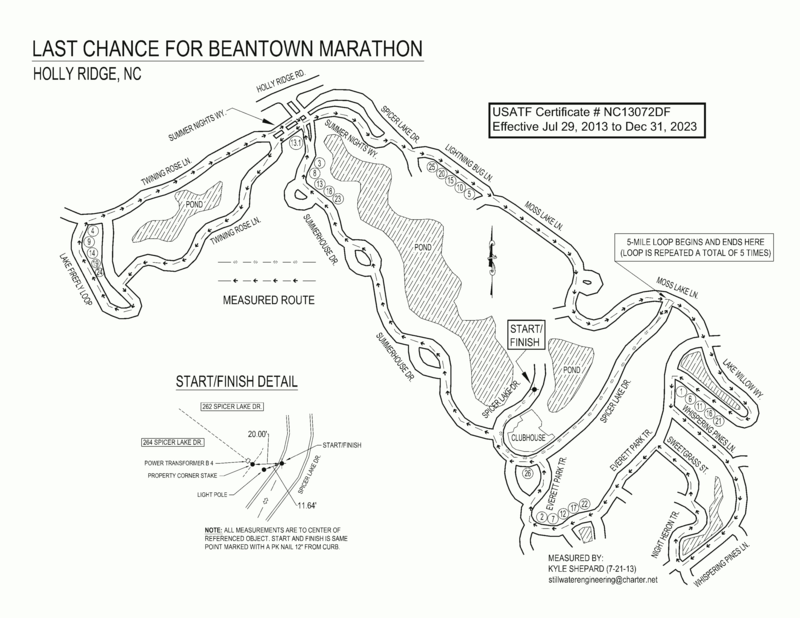 This race is a certified course and will be a qualifier for the Boston Marathon. It is a looped course that allows the athletes to have a support team on the course. The race is completely closed to traffic and is in a gated neighborhood on the Atlantic Intracoastal Waterway. The race will begin in the evening and end at mid-night. There is no doubt that this will be a warm and humid race. You must be prepared and acclimated to race in humid temperatures. You must be trained to do this race. Average temperatures in August in Southeast, NC are 71 low and 88 for the high. The looped course will allow participants to take advantage of constant aid stations and cooling stations. It will also make for a spectator friendly course. 12:30AM -1AM: Course Cutoff – the exact time depends on the exact Start Time. The cut-off is 5 hours. The course will loop in a figure 8 pattern. Aid Stations with Water, Ice, Fruit, and Gatorade will be strategically placed along the route. On top of this, participants are allowed to set up their own Aid Station if they feel they need additional cooling or fuel. Runners are encouraged to bring a support team. Since this is a looped course, family and/or friends are allowed to set-up tents and cheer stations along the course to make sure the athlete is motivated and has the proper fuel and hydration. The race will provide aid and cooling stations along the course. Without Limits branded shirts for marathoner entrants (and 10k if there are any leftover) so you can show off your accomplishment. The best race shirts around! Shirt Cutoff is August 5. Check them out, by Ashworth Awards, same company that makes the Boston Marathon medals. Waiver: The Registration Agreement & Liability Waiver is linked to the Online Registration. This must be selected and approved during registration to participate. On-Site Registration: Registration is available starting one hour prior to the race. It closes 20 minutes to start time. Entries are not transferable to another race Timed by Go Time as each race is organized by a different group. We must stick to this refund policy as race items have been purchased based on current registrations and it is not fair to choose who receives a refund and who does not. Harris Teeter on 203 Alston Blvd, Hampstead, NC for donating snacks and water to our runners! Food Lion on 13601 NC Highway 50, Holly Ridge, NC for donating bananas to our runners!